The airport of Corfu is located 2 km from Corfu Town, in the location of Kanoni-Perama. It receives flights from Athens and Thessaloniki all year round. The flight time from Athens to Corfu is 1 hour. In summer, the airport of Corfu also receives many charter flights from abroad and low-cost flights. Among the low-cost air companies that fly to Corfu from various European airports are Easy Jet and Ryan Air. Occasionally in summer, there are also charter flights between Corfu and other Greek airports, such as Kefalonia and Preveza. These charter flights are operated by Sky Express. 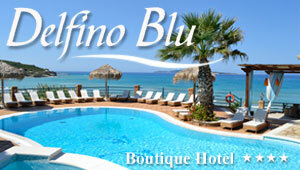 The airport of Corfu operates all year round. In winter it operates flights to Athens and Thessaloniki, while in summer it also receives charters and direct flights from abroad. Here are the main air companies that fly from/to Corfu.